1 Combine Hellmann's® or Best Foods® Real Mayonnaise, dressing and sauerkraut in medium bowl; set aside. 2 Evenly top 2 bread slices with cheese, corned beef, then remaining bread. 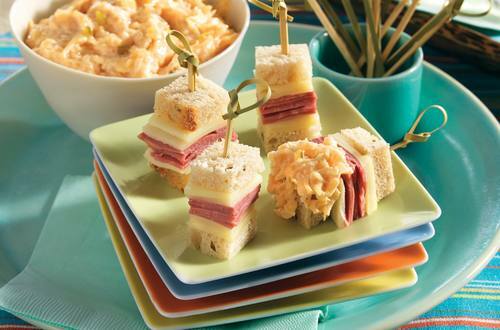 Cut each sandwich into 20 cubes and secure with wooden toothpicks. Serve with dipping sauce.